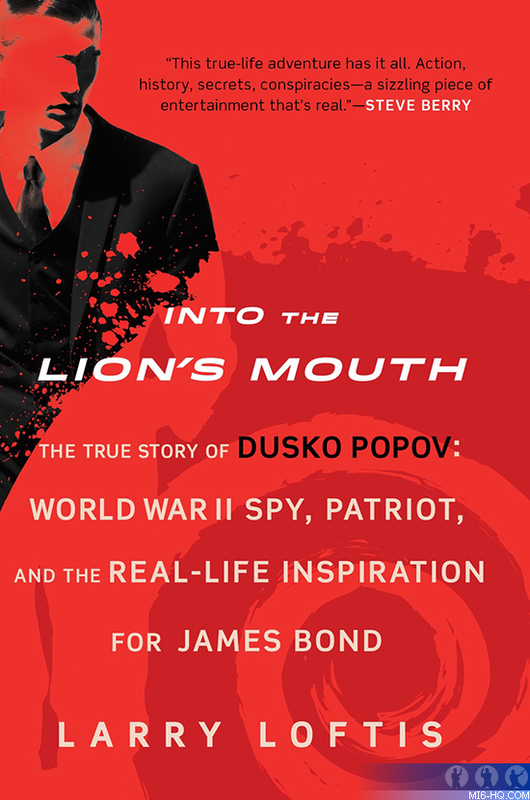 Attorney and author Larry Loftis examines international spy and double agent Dusko Popov’s life and work in "Into The Lion's Mouth: The True Story of Dusko Popov: World War II Spy, Patriot, and the Real-Life Inspiration for James Bond" (Berkley Caliber Hardcover; June 14, 2016; $27.00). Dusko Popov had a storied past, starting with his expulsion from prep school as a young man. Years later he was arrested and banished from Germany for making derogatory statements about the Third Reich. And when World War II ensued, Popov became a spy, eventually serving three networks as a double agent: the German Abwehr, the British MI5 and MI6, and the US FBI. He also had a reputation for living an extravagant lifestyle and cavorting with lots of beautiful women. On August 10, 1941, the Abwehr sent Popov to the United States to construct a spy network and, specifically, to gather information on the defense installations at Pearl Harbor. What they didn’t know was that Popov was actually working as a double agent for the British. Upon arrival in New York, Popov contacted the FBI and warned them that the Germans wanted this information on behalf of Japan, and that an attack was imminent. The FBI ignored this, and then-FBI director J. Edgar Hoover, who did not trust him, succeeded in blowing his cover. While MI5 desperately needed Popov to deceive the Abwehr about the D-Day invasion, they assured him that a return to the German Secret Service Headquarters in Lisbon would result in torture and execution. He went anyway. "Into The Lion's Mouth" is the account of one extraordinary man’s globe-trotting entanglement with espionage, murder, assassins, and lovers―including enemy spies and a Hollywood starlet. It is a story of subterfuge, seduction, patriotism, and courage—themes that Ian Fleming would incorporate into the tales involving his iconic hero, James Bond.